I’m selfish about sharing particularly special secrets. Today I will indulge you, although it’s not really a secret anymore. I expect those horrid Club Med people will have their greasy little paws on my lovely Lebanon in no time. I have no idea why people are still going on package tours in Bali and Malaga when there’s Lebanon to see: it’s one of my new favourite countries and, in all the world, as far I am concerned, the finest cuisine. It’s not only Beirut, it’s the whole country and its cuisine, architecture, mountains, beaches, the wine, the history, the shops… Lebanon just blows visitors away – no snide asides, I said blows people away, not up. No one even tried to blow anything up while I was there – it’s not like it used to be. I’m pleased to hear that tourism is, once again, on the rise in Lebanon. I am, however, very surprised at some foreigner’s ignorance of this wonderful country. I was given all manner of useful advice before I left for Beirut such as “Don’t go there. They have big guns. You’ll be kidnapped. and general comments such as “Death! Destruction! No free wifi!” I’m pleased to report that my Lebanese contacts from Australia were correct: it’s fine. I encountered many families on holiday and many singles too. If it were risky, I’d still have to make a trip to Lebanon but none of this Israeli/Lebanese border-chemical-warfare nonsense occurs anywhere near Beirut anyway so pas d’exuses – book a flight today. Seriously – it’s nice and safe. I’ve walked around town alone at night with no concerns. Police are everywhere, and they are most helpful if you happen to speak Arabic or French. For those of you who don’t, I recommend an Arabic phrase book or iphone app – although the taxi drivers and shopkeepers speak English, I didn’t encounter an English speaking member of the Militia or Police force in my 7 days there – nice blokes though. Even the Hezbollah boys don’t seem to bother tourists. In fact, they were very courteous. Don’t sneak into people’s houses to take pictures: it’s rude. buildings are still privately owned. I pretended not to understand , apologised and left in haste. The locals advised me against such foolishness as well, warning me of big rats and barbed wire. I tried to explain that I was tough – a jungle adventurer from way back. 9 years of lone travelling experience: Eaten taratulas, slept on the streets/in trees/caves. A tea party with a tribe of Cannibals in New Guinea? Bring it on. Actually they were right. It wasn’t the most cunning of plans, the police would’ve probably been within their rights to take me down to arrest me. I’m scared of rats, anyway. Although I love shopping in souqs and flea markets, I’d just come from Syria and had done my dash on markets: I needed more underwear and some nice shoes than plates, tablecloths and paintings. I spent the day shopping in Achrafiye. They have an ABC mall which has all the usual suspects such as La Senza, Guess, Esprit, a cinema, nice restaurants – I like the 365 restaurant and cafe. There is also a Patchi store, selling luxury Lebanese-style chocolates and sweets, second only to the splendid Alpina sweet shop in Hamra – the Lebanese know their chocolates! For those looking for high end souvenirs, head to Artisans du Liban et D’Orient, also in Achrafiye. It is expensive but you can find beautiful interior items such as plates and vases and artwork for $15 – 45. The furniture is considerably more expensive of course.The Saifi Village, in the Place des Martyrs in Germmayzeh is a lovely French colonial style neighbourhood known as Le Quartier des Arts. This is a great place to find handmade jewellery, original clothing and souvenirs. There is a farmer’s market in the square every Saturday. For those of you who love architecture, have an art deco fetish or just want artistic photos of an art deco building with lots of bullet holes, I recommend walking around Verdun. Now that there is more political stability, people are starting to rebuild the city – it’s good to see that a lot of the new structures have been rebuilt in the classic “Beyrouth” style – a mixture of French colonial and arabic architecture that is a monument to Lebanon’s exotic past. I could write volumes on the cuisine of Lebanon but I’ll save you the pain. and tell you just this: everywhere that you eat in Beirut, Byblos and Harissa will be great – cheap or expensive, Lebanese, Chinese, French, or Thai cuisine, you will love it. I ate a $5 mezze plate at a petrol station next to a highway – fabulous. A posh Chinese restaurant in Verdun, an upscale Lebanese cafe, a kebab shop – everything was excellent. They have cheese in Lebanon that I didn’t even know existed. At least six different types of cheese were presented to me at my hotel breakfast when I was expecting tea and toast, it was a splendid surprise indeed. 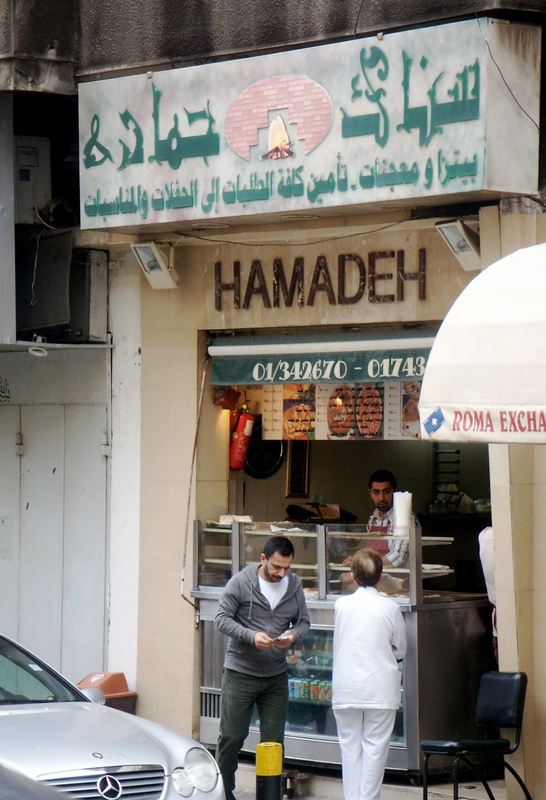 I can imagine that the main reason for this is that Lebanese are passionate about fresh and high-quality ingredients. You will notice that people buy their fish fresh from the shop on the corner and their bread from a bakery as opposed to in a supermarket… I will mention 2 that have caught my fancy: Socrates restaurant, next to the American University of Beirut, is an established casual restaurant located on the Rue Bliss serving affordable Lebanese homemade treats – it’s a good place for lunch. Ask around – it’s well known. 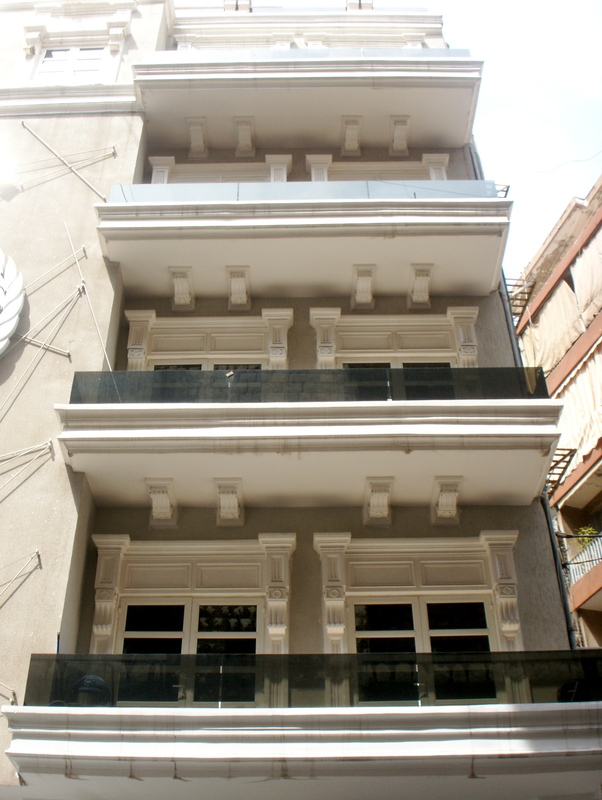 I also like Abdel Wahab on Inglizi Street near the cool nightclub area of Monot. It’s more expensive than average but it serves fine cuisine and the decor is just beautiful. I love the kebabs and mezze and there’s plenty of arak to go around. A lively place, good for meeting friends. I went alone and still enjoyed myself. I took a day trip to Jeita Caves Nahkal tours. I do like to do my own thing, but without a car and any sense of direction a tour is much less stressful. Nakhal also organises trips to Baalbeck, which is stunning and unique to Lebanon. There are day and overnight trips to Syria for the adventurer who is pressed for time. 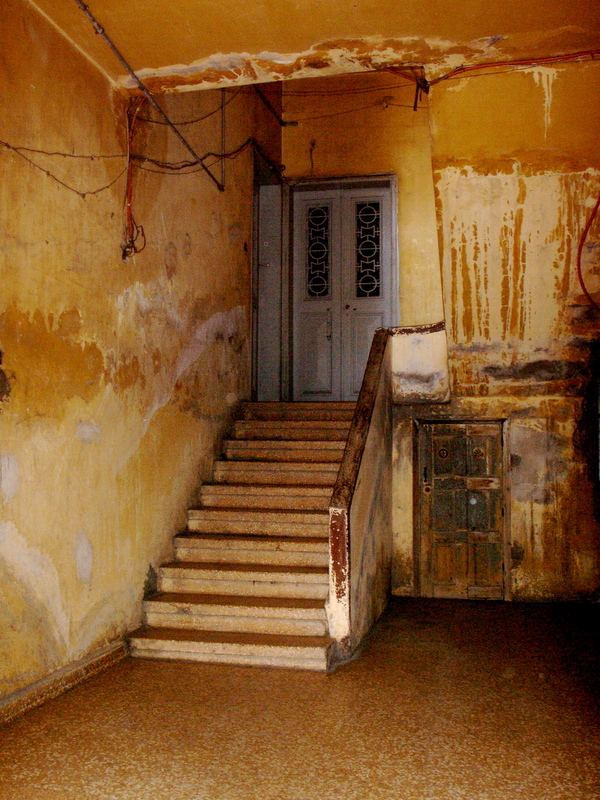 A Tripoli tour is also offered but I think this is one of the few places were security may be dodgy – you have to check up on that on the day… it’s still not that bad though. If you can only do one day trip I recommend Baalbeck. Known as the “Sun City”, this Phoenician town is thousands of years old and is an important Roman settlement in the middle east. 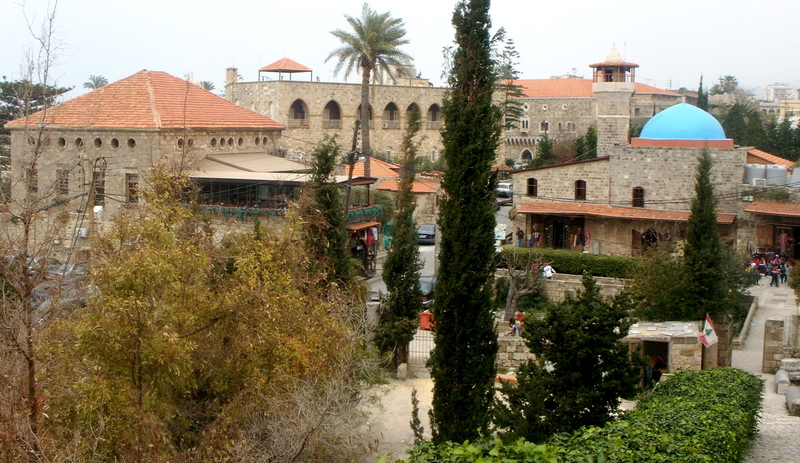 There are Phoenician, Roman and Early Christian/Byzantine sites all together in one city. It’s worth reading up on the history of Baalbeck’s “sacred brothels” and murderous former residents before visiting. Unfortunately such colourful characters are long gone, leaving only their ruins for us to explore and enjoy. Thanks, Viviane. I think more people need to realise what is so wonderful about Lebanon – and just how GREAT the restaurants are! It’s great to see that you visited Lebanon. I was born there, but only returned for a couple of weeks 11 years ago, when I was too young to appreciate it. I yearn to visit again, and absorb all that you mentioned – the food, the architecture, the people, the landscape, etc., etc.